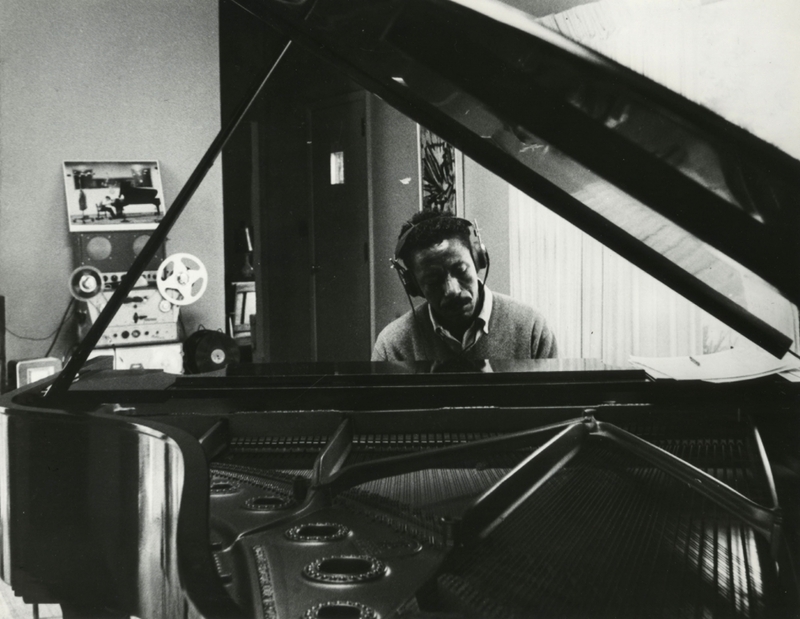 Gordon Parks began his artistic career as a musician, starting out as a brothel pianist and traveling with a jazz band. He had been playing piano by ear since his childhood and, although he could not read or write music, he started composing his own piano pieces. While Parks would soon take up the camera more seriously and begin his accomplished career as a photographer, he continued to compose music. In 1956, a Vienna orchestra performed his piano concerto. He also scored some of the films he directed, including the first major Hollywood film by a black American director, The Learning Tree (1969). In 1990, he composed the music and libretto for Martin, a ballet honoring the life of Martin Luther King Jr.